If your business is looking for investment, there are some steps you need to undertake to ensure that you impress investors. The following tips will help you to get your point across and to make your business seem like the obvious choice to invest in. While it would be great to find an investor that believes in you and your vision, you need to be realistic as to the reasons that people invest in you. People look to give you money so that they can make money in return. This is the bottom line of investments and it is something that is something overlooked or forgotten about. This means if you are looking to impress investors, you must make sure that you show your margins and give them an indication of what they should expect. Numbers aren’t everything and they don’t always tell the full story, so you need to offer more than just the financial figures, but if you don’t offer the financial figures, you’ll find that your business is in big trouble when it comes to enticing investors to you. Show them that there is the potential for growth Investors want to know about the opportunity for growth and they want to see that you are in a marketplace that offers a stable audience and the chance to gain in value. You want to show the past, the present and the future of your business, and this should be an integral part of any presentation or meeting that you have. If you can show that you have carried out research and that you can justify the claims that you make, you’ll find that investors will look at you in a more favourable manner. 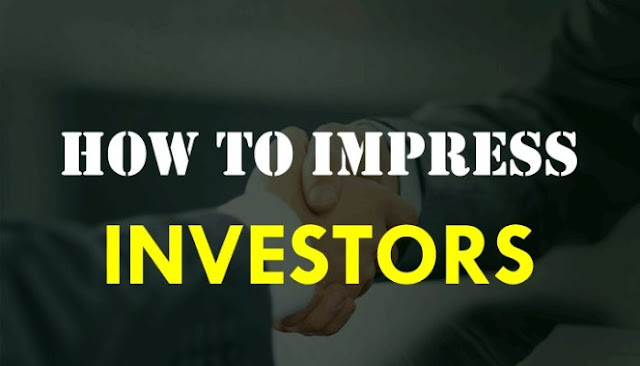 Investors want to know that you are serious and in showing that you have studied the market and pinpointed the changes, and areas for growth, you will be well on your way to impressing investors. You want to show new markets and potential new revenue streams but at the very least, put the hours in and show that you can give confidence to any investor. This seems like an obvious thing but it is something that many people forget. A business model which is scalable is a great way of showcasing that you have thought about the business and it pinpoints why you need investment. It also showcases how you plan to behave and act in order to achieve your aims and goals. You may not have created a business model before, but you’ll find that learning how to do so and creating a viable one will impress investors while also giving you tools and information to drive your business forward. If you have problems, don’t hide them, engage them All businesses have issues or problems to deal with, and owning up to these issues is a big aspect when presenting your company. If an investor believes you are trying to hide any issues, they won’t trust you. If you want someone to give you money, they need to trust you and this is why you have to be honest and open about any issues you have. By pinpointing flaws and problems but showcasing how you plan on overcoming these issues, you’ll come across as more genuine and trustworthy to any potential investor. - That you have the right people on board These are all important things to prove to an investor, and if you can resolve these matters and showcase yourself in the correct manner, you will be well primed to receive funding. If you are in the property market, you want to be where the investors are, and this is why you should look to be present at the MIPIM event. This is the leading annual conference for the global property market and it takes place in Cannes in March 2016. Booking a good standard of Cannes rental apartments is the starting point for being able to present effectively to your audience. Anyone looking to find funding in the property market will find that this is the event that they have been waiting for.